Oh Shara, I love all kinds of braids. Btw I was in Stuttgart some five years ago on exchange with school. :) I liked the city very much. Hope you have a nice Wednesday. 2nd and third photo are pure perfection! amazing photographs, definitely makes me feel incredibly lazy with just a messy bun on the top of my head haha! Tolle Frisuren/Haare! Und toller Blog. Habe mich gerade mal eben die letzten drei Monate nachträglich durchgelesen/geguckt! 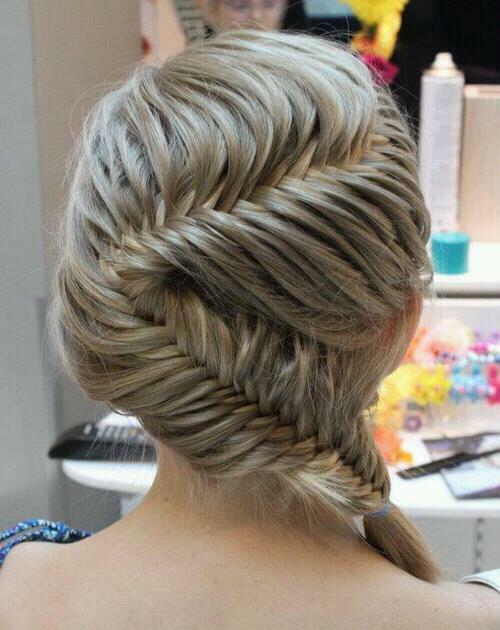 okay you're dying to make me go braid my hair! so gorgeous! and i love the blonde hair with the pink tips - amazing! Ich liebe die bunten Farben in den Haaren besonders gerne!! All so lovely! I have fairly short hair now- which I love- but I MISS braiding my hair so much. haha sooo cute;)thanx for ur comment! oh gosh, i'm just so braid happy! absolutely adore this all!!! Love these hair trends, particularly the braids. woooow your blog ist amazing and you are beautiful! Great choice of photos. They're very inspirational. love the hair newest follower!